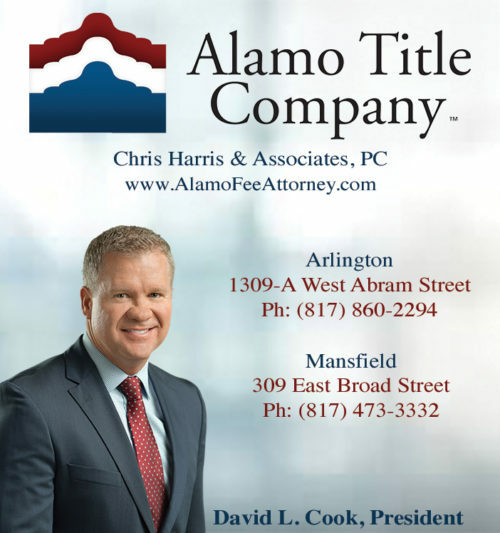 David L. Cook is the President of Chris Harris & Associates, PC, fee attorney for Alamo Title Company in Mansfield and Arlington, Texas. Chris Harris & Associates, PC has been providing title services in Arlington since the late 1970’s and has recently expanded into Mansfield in 2016. A commitment to achieving the client’s objectives that has been built on the close evaluation and attention to detail that he extends to each individual who walks into his office. Alamo Title Company can take care of all your residential and commercial real estate transactions. We are also an investor friendly title company that understands the unique needs and challenges that investors face in the modern real estate market. If you need an experienced title company to help you with your real estate transactions, contact either of our two offices.